Shopping for Guardians of the Galaxy Stickers? Show your love for Groot! 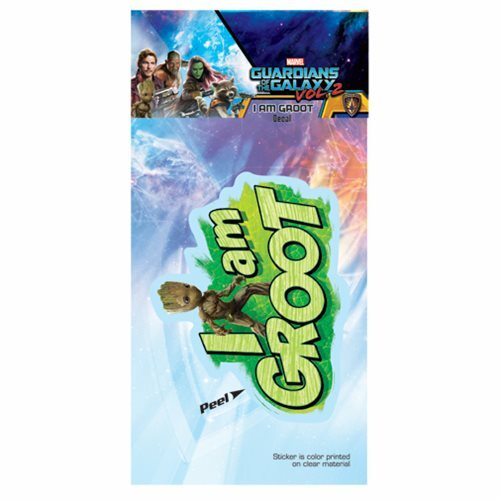 This I am Groot Decal is perfect for your car windows, laptops, tablets, and more. This decal is made of high quality polyester and then printed on a clear material. Decal measures approximately 8-inches tall x 4-inches long.